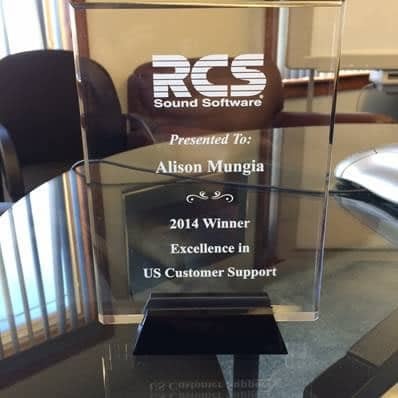 Alison is the recipient of the 2014 Excellence in Support Award. 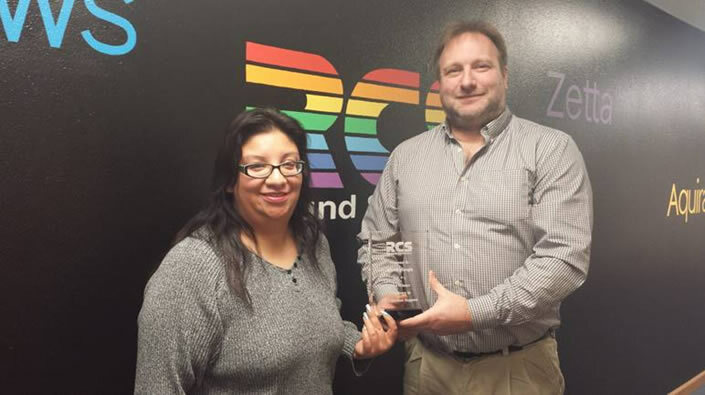 Chip Jellison, EVP, Technology & Development presented the award to Alison, “I’ve had the honor of working with Alison since her start back in the Audio Wizard days. Not only does she continue to do great work, she has adapted to every new product we have thrown into the mix. She now supports her 3rd major playout system (Audio Wizard, NexGen and now Zetta.. not to mention the Wizard XPS and NexGen 101 offshoots), and does so with a continued level of excellence.” Congratulation to Ali!